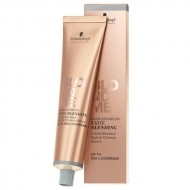 Provides a lifting up to 9 shades. 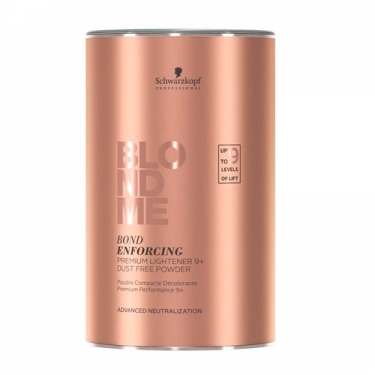 DESCRIPTION: Blond Me Bond Enforcing 9+ from Schwarzkopf is a high performance powder discoloration for maximum clarity. Powerful, but protective. 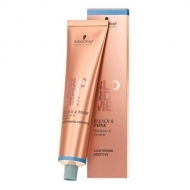 Provides up to 9 tints of lightening. Superior hair quality thanks to capillary protection, with creation and maintenance of capillary fiber bridges, during the process. The minimized hair break.